Two seals are perched on a rock. When others need shelter, do they share it? 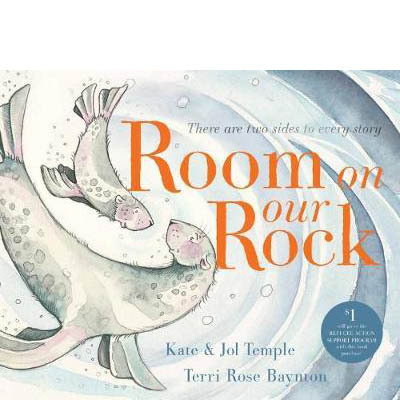 Room on Our Rock celebrates the truth that there are two sides to every story. This clever picture book has one story that can be read two different ways. When read from front to back, the seals believe there is definitely no room on their rock for others. But when the book is read from back to front, the seals welcome others to shelter on their rock. A heartwarming story about sharing and compassion.